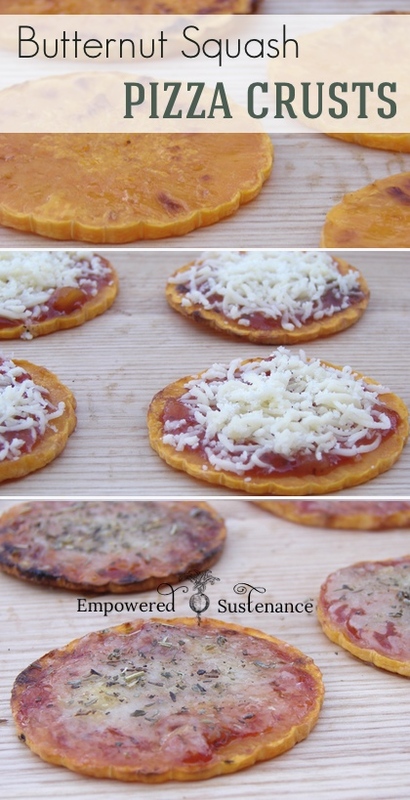 Butternut Squash Pizza Crust: The Easiest Paleo Pizza Ever! I believe this may be the easiest grain-free pizza crust ever. Cauliflower or zucchini pizza crusts provide an acceptable base for cheesy toppings in many grain free or low carb homes. Unfortunately, these crusts are rather time consuming and rely on eggs and dairy as a binder. This crust requires only about 10 minutes of prep time and is completely allergen free. Use your choice of toppings. I’ve used marinara sauce, mozzarella cheese, and herbs for these pictures. Other ideas include pesto, prosciutto, and/or goat cheese. Preheat the oven to 400. Line 2 or 3 baking sheets with parchment paper. After peeling the squash, slice the stem end into ¼ inch thick slices. 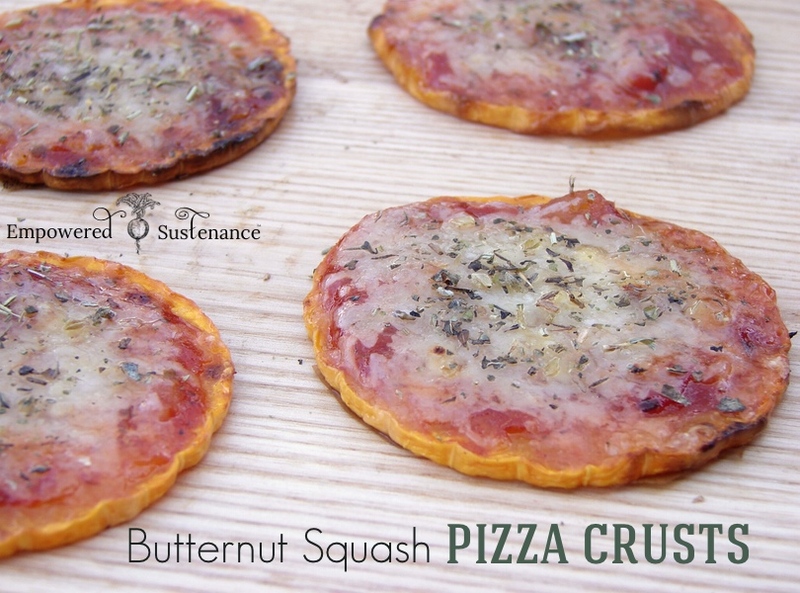 The wider your squash, the larger the diameter of your mini pizza crusts. It's best to pick a squash with a long "stem end." Scoop out the seeds at the bottom part of the squash. Slice and roast these pieces and enjoy as a snack or side dish. Place the squash slices on the prepared baking sheet. Brush lightly with the melted oil and sprinkle with sea salt. Roast for 35-40 minutes, until tender and lightly browned. Flip the squash halfway through baking. Add pizza toppings and broil to melt cheese. Serve immediately. The crusts are not crunchy, but they provide an easy grain free pizza crust that stands up to plenty of cheese and sauce. You can eat these with your hands or with utensils. To make the “pizzas,” what could I use instead of cheese…I’m allergic to dairy. Sauteed vegetables. And they make dairy free cheese substitutes. Butternut is so versatile experiment you cant go wrong. Is there any way to cook these without an oven? Do you think they could be cooked in a skillet or on a griddle?